The right to have guns and certain types of guns is a hot topic right now. 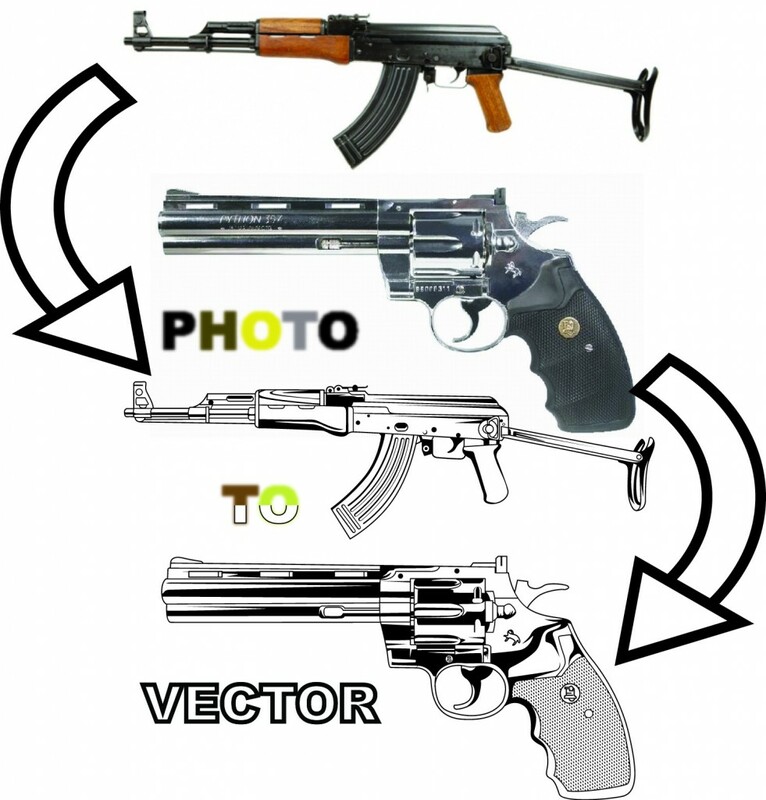 Here are 2 different types of guns vectorized in black and white (if only more things in life were as clear as black and white). Please let us know what you think, extra points if you can name what guns they are. Next Post:New update! Please vote for what you would like done!